This week we got a few things to make a yummy treat, which I can't wait to share with you. We've already filmed it and it is currently being edited. It's a mint Oreo ice box cake and it is delicious!! We also snagged some m and m's, so that we can have them during a movie night or two that I have planned for this upcoming week. One of our favorite movie treats is to pop some popcorn and sprinkle a few m and m's over the top. It is so delicious! A friend showed me this treat when I was younger and it has been fun sharing that with my kiddos. 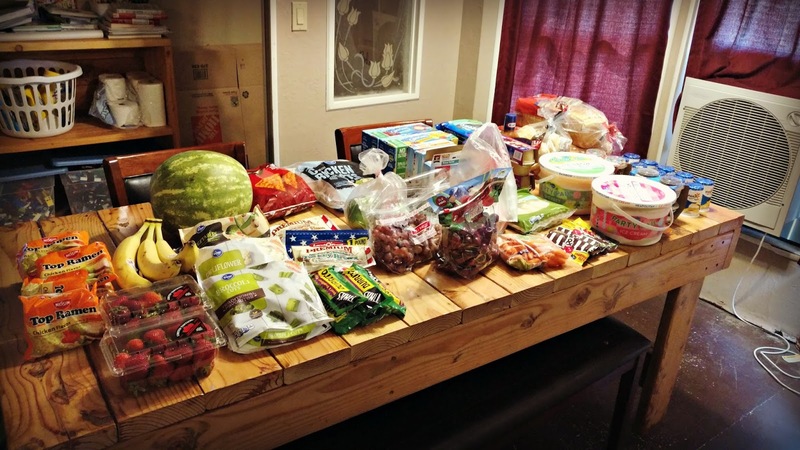 We also got some ice cream, capri suns, and a few other goodies that were on sale. Below I have the full breakdown of what I got and what I spent. Be sure to check out the video below for all the little details, some info on our upcoming move, and a glimpse at our weekly menu plan. 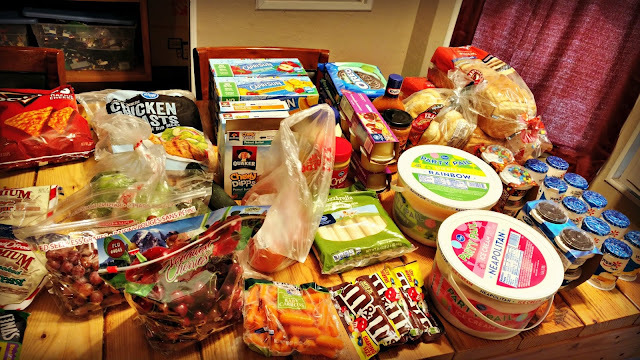 For the month of June we had $216.06 leftover in our grocery budget. This is money that we then put into savings. Sticking to our menu plan and shopping sales and our pantry really helped us keep our food costs down this month. The money that we have leftover can now be put towards any expenses we have with our move coming up in August. One thing to always remember is that just because you have set a certain amount, doesn't mean you have to use it all. Any money not used is surplus that you can put towards other financial goals your family has. You are so lucky to be able to rent a 2 bedroom place with 5 people! Landlords heres are so odd and insist on 3 to 4 rooms for that many people.